Couldn't find the perfect Valentine's Day card in CVS? Don't have enough time to order the rad one you just saw on Etsy? 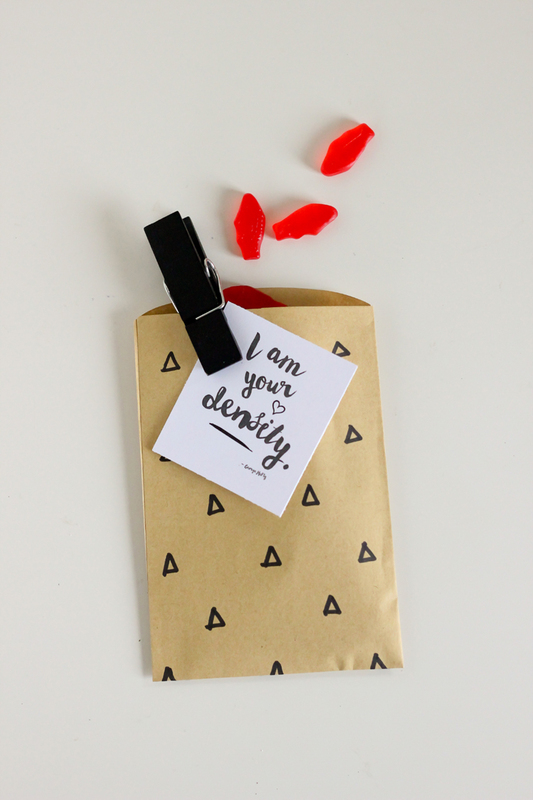 Have no fear, there are a plethora of free Valentine's Day cards on the 'net - all you have to do is snag some card stock + print. If you don't have a printer, head over to Staples - color copies printed on card stock are under $2.50 each + you can squeeze a few of these onto an 8.5"x 11" sheet. 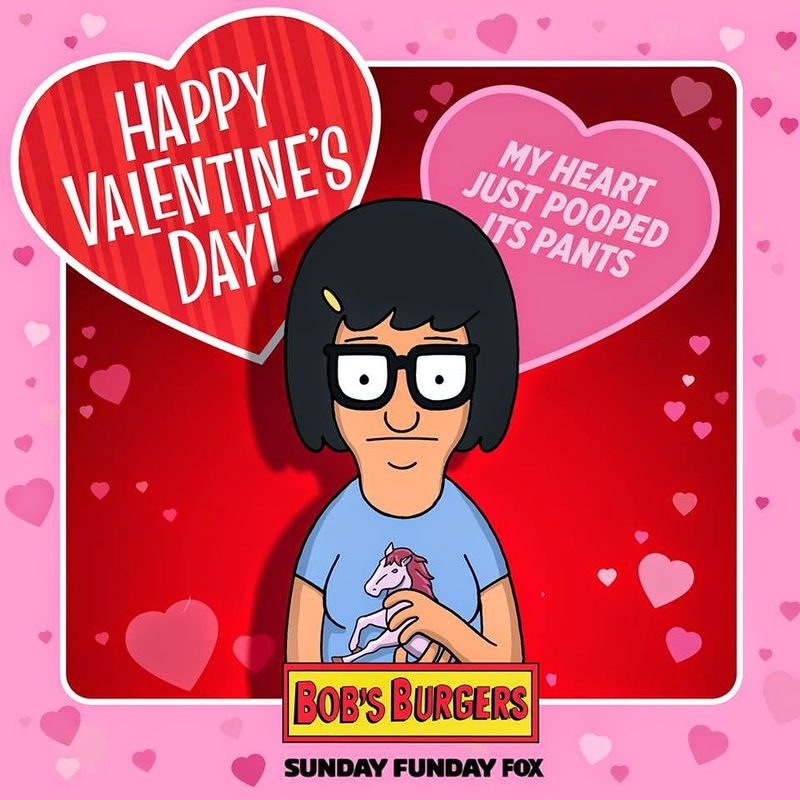 The folks at FOX made Bob's Burgers cards this year. I'm torn between Tina + Gene, they're both so hilariously inappropriate. 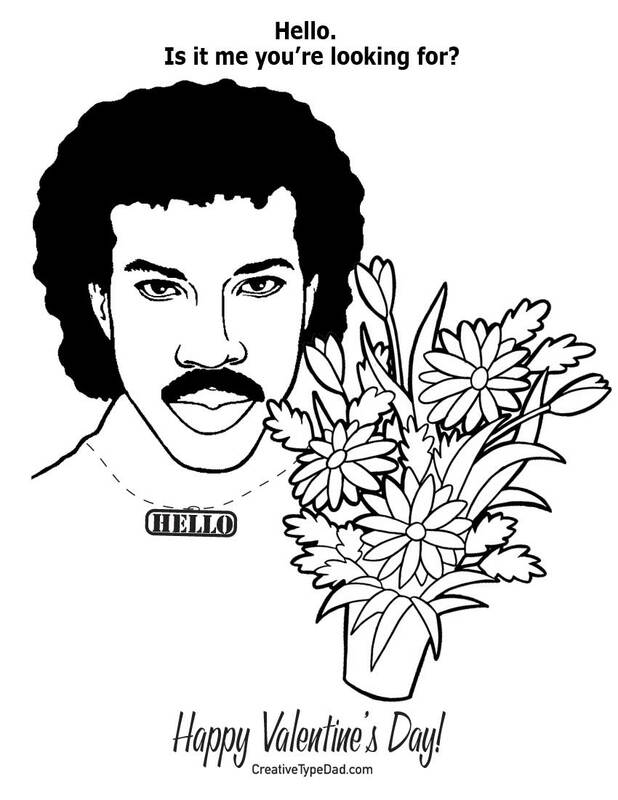 Lionel Richie is exactly what I was looking for - thanks Creative Type Dad. 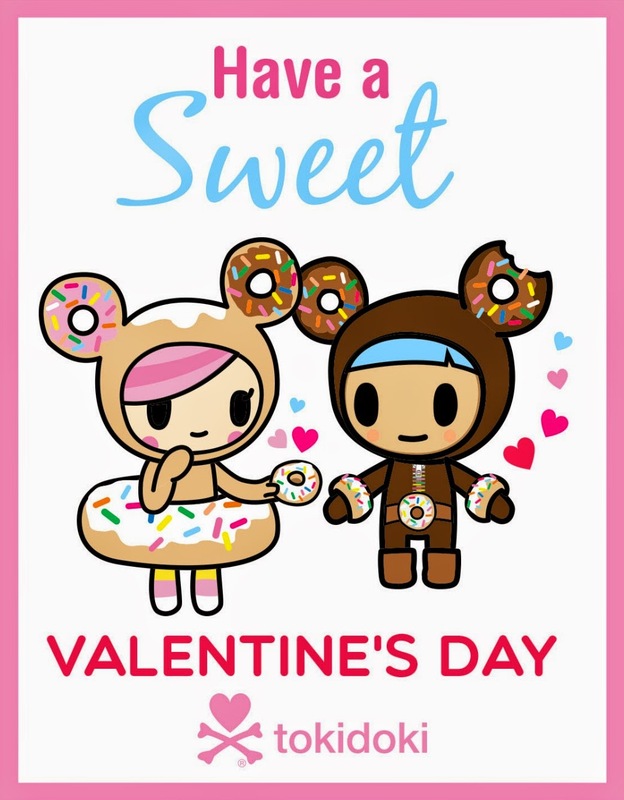 Tokidoki created printable sheets with mini valentines, plus a standard size card. Alecia Dawn has an assortment of Star Wars cards to choose from. Handing out treats to your sweets? Choose from an assortment of pop culture bag tags over at Delia Creates. If you're handing out lollipops or something of the sort, you can punch a hole in the corner of the tag + tie in onto the stick with ribbon. 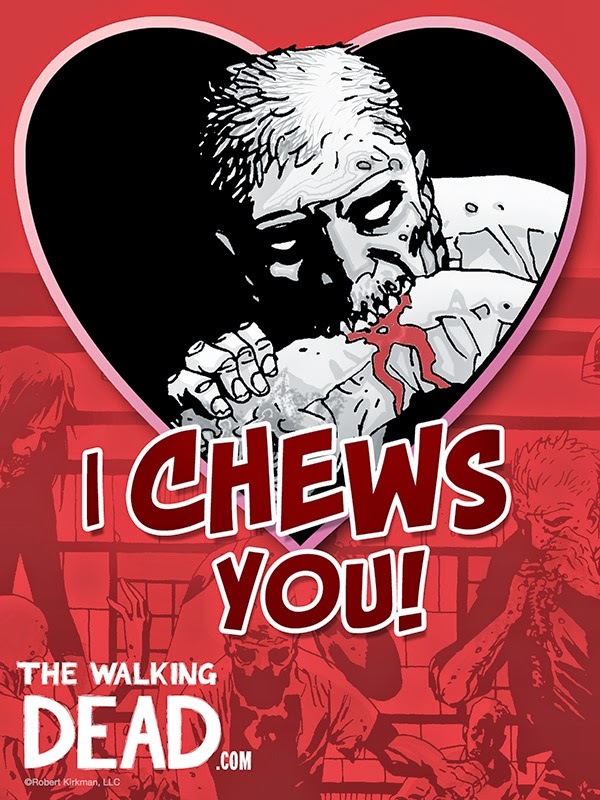 The Walking Dead printables created a few seasons ago are still available. 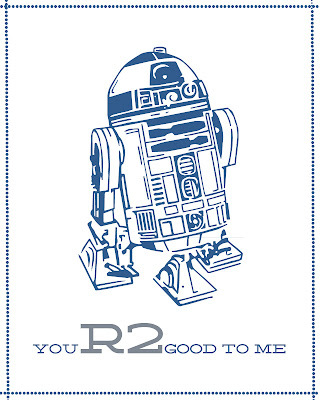 Printable Valentine's Day coupons? Also rad. Michelle over at Elegance + Enchantment created a coupon that can be used for all of the special people in your life. All you have to do is print + fill in the blanks, so they are age appropriate [or inappropriate, if you're handing out naughty ones]. She also includes lists of coupon ideas, depending on who the recipient is.